I have worked in a company for one year under a limited period contract, which expires in May 2019. In my offer letter, it is mentioned that at the end of my limited contract I must sign a new limited contract. 1.) Am I obliged by law, upon the expiry of my current employment contract, to renew with a contract for a limited period? My company mentioned that I must renew my labour contract with a limited period and also with a non-competition clause they are going to add to my new contract. 2.) Does the employer as per UAE labour law have the right to file an absconder complaint to the Ministry of Human Resources and Emiratisation (Ministry of Labour) against the employee who is on annual leave outside UAE? 3.) Do I have the right to get an air ticket in case I resign? In my offer letter it is mentioned that in case I resign I am not entitled to an air ticket. 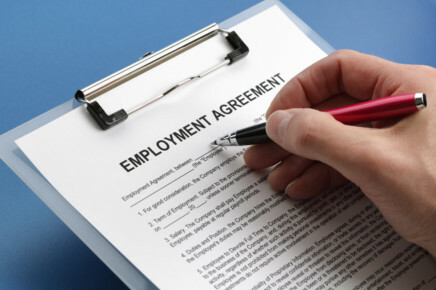 Upon the expiry of your current limited contract as per UAE Labour law you have the right to choose what type of contract you wish to sign, therefore you may renew with another contract for an unlimited period and what is mentioned in the offer letter that the employee has to renew with a limited contract is considered against the UAE labour law. As per the Ministry of Human Resources and Emiratisation (Ministry of Labour) rules the employer has no right to file an absconder complaint against any employee on annual leave or outside the UAE. Finally, the employee has the right to get the air ticket at the time he cancelled his visa and leaves work unless he is going to join a new employer. As per UAE commercial law, what is the minimum number of a partners required to set up a LLC Company? What is the responsibility of the partner in LLC Company and in what case does the partner hold responsibility as per the UAE Commercial Law? A Limited Liability Company as defined by Article 71 of UAE Federal Law No. 2 of 2015 concerning the Commercial Companies (New CCL) came into force on 1 July 2015, replacing the existing Federal Law No. 8 of 1984 and its amendments concerning the Commercial Companies. A LLC company must have at least two partners but the same shall not exceed fifty. A partner shall be liable only to the extent of his/her share in the capital. A single natural or corporate person may incorporate and hold a LLC. The holder of the capital of the company shall not be liable for the obligations of the company other than to the extent of the capital as set out in its Memorandum of Association. Therefore as per the above-mentioned article, the general rule that a shareholder in an LLC is responsible only to the extent of his share/shares in the capital of the company. The exception to this general rule, as the court reasoned, is that such a shareholder will be held personally liable, if he exploited the principle of the independent liability of the company, as means to conceal his fraudulent acts or misappropriation of the funds of the company in order to cause harm to his partners or creditors. In such case, the protection bestowed by law for shareholder in a limited liability company will not apply. He will be held liable in his personal capacity for such dispositions in a way that such liability will extend to his personal assets.